Macerators and boiling water tap. Once you have these we can help you choose, order and install your new item. A food waste disposal is a simply must-have appliance for the modern kitchen. A waste disposer doesn’t just offer practical, contemporary convenience; it provides an environmentally responsible answer to the growing problem of food waste. Simply turn on your cold tap, put the food scraps into your sink and feed them into the special flange that replaces your normal plughole. Turn on the food waste disposer and at the touch of a button the food waste is ground down and flushed away, quickly quietly and efficiently. Just about any food waste you can think of – including meat bones – is dealt with by the waste disposer in seconds. The Evolution 200 can deal with ALL food waste disposals. Safety isn’t a problem – the grind ring that does the work so efficiently is safe and there are no blades. You clean up on every level. You save time dealing with messy, smelly food waste. You save the hassle of filling and emptying pedal bins and dustbins. And you do your bit for the environment. 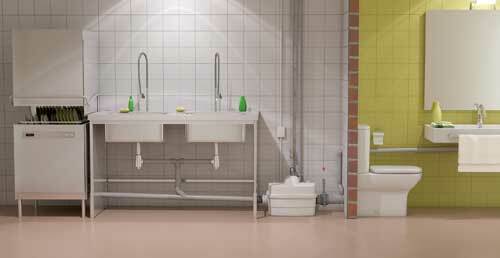 With its unobtrusive, compact design, a food waste disposer is installed easily and can be fitted to most sinks. All that’s needed is standard plumbing and a power source nearby! The extensive range of small-bore macerator pumps enables you to add an extra shower room, kitchen or utility facility almost anywhere. This includes those ‘hard to plumb’ locations that would be impractical or expensive using conventional large-bore, gravity drained discharge pipework. So, if you have the space to add facilities but plumbing is a problem – JAS Plumbing and Heating will provide the answer. Macerators put you in control, enabling you to site facilities where you want them, instead of where gravity plumbing dictates. Units from the extensive ranges quietly pump waste and water vertically or horizontally, through small bore pipework of just 22/32mm diameter to existing drainage. You can choose where to add facilities and it’s easy, quick and economical. So if you have the space, there is a product to help you improve your home. Once you have one, you’ll wonder how you ever did without an instant hot water tap. No kettles, no leads, no clutter, no fuss… just 98°C steaming hot and cold filtered water at the flick of a lever. 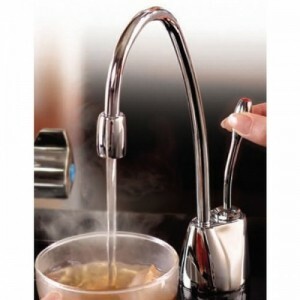 With their elegantly sleek lines, hot water taps bring style and convenience to the kitchen. No matter what you want we can help you with your new Macerators and boiling water tap installation.